New Delhi, Dec 24 : It seems like Christmas will once again be lucky for superstar Aamir Khan. His latest sports drama "Dangal", which released two days before the festival, generated over Rs 29 crore on its opening day. According to the numbers shared by Disney India, which is backing the film, "Dangal" minted Rs 29.78 crore, including Rs 59 lakh from Tamil and Telugu, in India on Friday. Directed by Nitesh Tiwari, "Dangal" is based on the real life tale of Mahavir Singh Phogat, a former national champion who, much to the disapproval of his wife and his whole village, trained his daughters Geeta and Babita to wrestle. There were doubts about the film's box office performance getting affected by the Indian government's demonetisation move. But it has started off on a strong note at the box office. 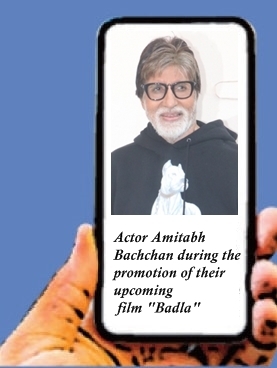 The film also made a good opening on BookMyShow as it contributed 33 per cent to the movie's total Day One India box office collection, read a statement from the online entertainment ticketing platform. In the last few years, Aamir's films like "PK", "Dhoom: 3" and "3 Idiots" -- which released around Christmas -- turned out to be blockbusters. And it seems like "Dangal" will join the list soon.